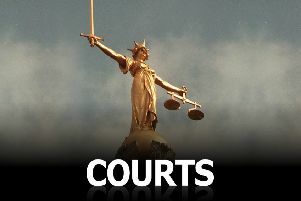 A dog owner from Higham Ferrers who repeatedly breached the dogs on leads order at Vine Hill recreation ground has received a £420 fine for her latest violation. The woman from Kimbolton Road, Higham Ferrers, has already received a verbal warning and three Fixed Penalty Notices for not having her dogs on leads at the park and most recently, was caught by the East Northamptonshire Council dog warden and a PCSO for the same offence in the same location. A spokeswoman said that when approached by the two officers, the woman was heard to say: “Here we go again. Don’t bother giving me the ticket; you know where I live, just put it through my door.” She then left the park. This latest offence earned the dog owner a court appearance at Northampton Magistrates’ Court where she pleaded guilty, was convicted and received a fine of £150, costs of £250 and victim surcharge of £20.